Four luxury suites enjoy individual design approaches while maintaining a common theme of quality, and each one opens on to an idyllic alpine panorama. Home comforts include your choice of super king or twin beds in each suite, underfloor heating & heat pumps, Flat screen TVs, CD, DVD and fully-equipped European-styled kitchens with all modern appliances. tennis racquets & balls, basketball and cricket set. Best of all, everything is included for FREE. Our all-weather surface makes tennis a great option for fun family or corporate tournaments, all with an unforgettable backdrop of genteel grounds and rugged natural beauty. We have mountain bikes that you can use to access the new trails on our doorstep. We are also within 10 minutes drive of 6 golf courses so you won’t be short on options. 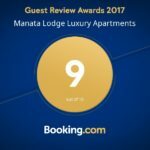 Manata is the perfect holiday choice for independent visitors, but for those who prefer to leave their organisation to others, we offer a comprehensive range of services.